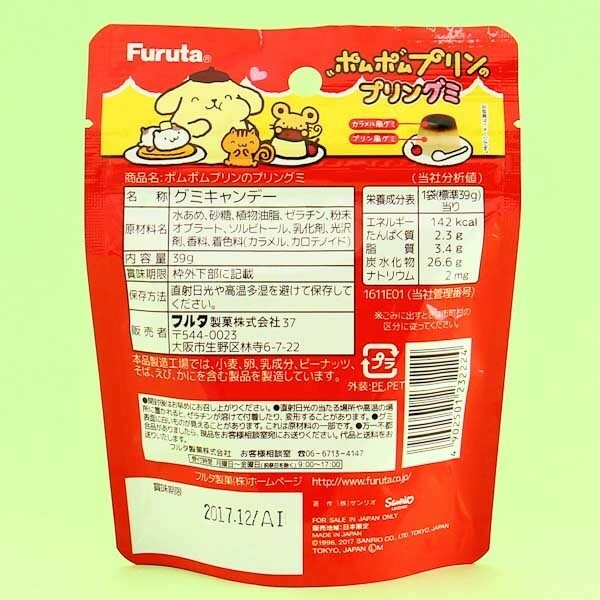 Now you can eat Pompompurin's favourite treat in a world - pudding, as a soft gummy! 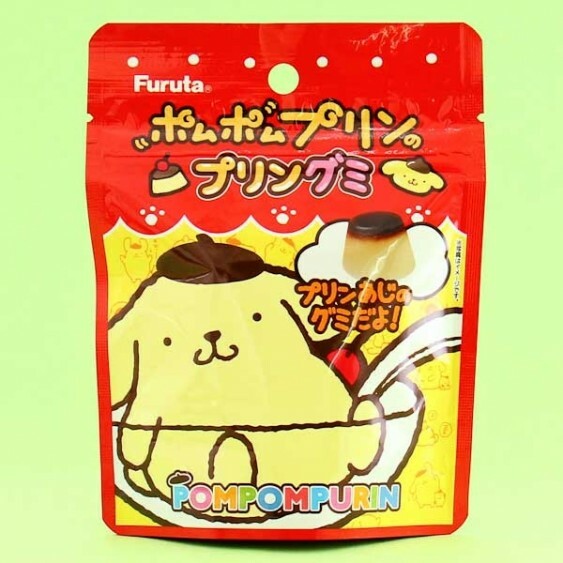 Pompompurin is an adorable golden retriever with the laidback attitude and a love for everything soft. Pompompurin loves eating sweets and these small gummies taste and look just like his favourite treat! 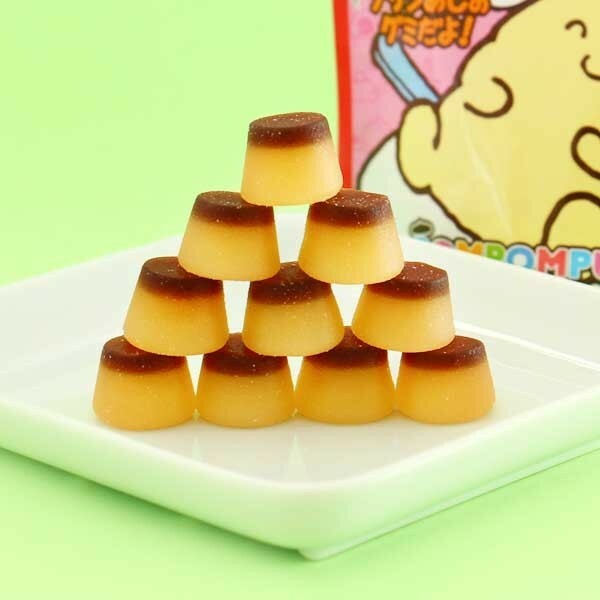 The top of the pudding gummies is made of from sweet caramel sauce and the base is made of custard! Be Pompompurin and share these lovely gummies with your friends and family! Pompompurin's favourite treat - pudding!